We, Velox Biologics are among the top leading pharamaceutical company and a prominent manufacturer and supplier of pharmaceutical formulations offering a wide range of pharmaceutical formulations. Our range includes a variety of Pharmaceutical Tablets, Capsules, Psychiatry Tablets and Injections. In addition to these drugs we also offer Syrups, Suspensions, Softgel Capsules and Nutritional Supplements. All these drugs are quality tested as per different parameters to make sure highest international standard is followed. 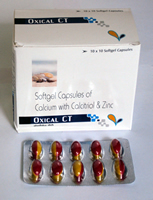 We have highly skilled manpower and machinery engaged in manufacturing the formulations. Our warehouse is well equipped with latest facility so that proper storage of drugs can be done until the drugs are dispatched. We have warehouse with massive capacity to ensure that the formulations are safely stored. In addition to this we pay due attention towards packaging process to ensure that the drugs should not be tampered during transit. Our range includes a variety of Pharmaceutical Tablets, Capsules, Psychiatry Tablets and Injections. In addition to these drugs we also offer Syrups, Suspensions, Softgel Capsules and Nutritional Supplements.